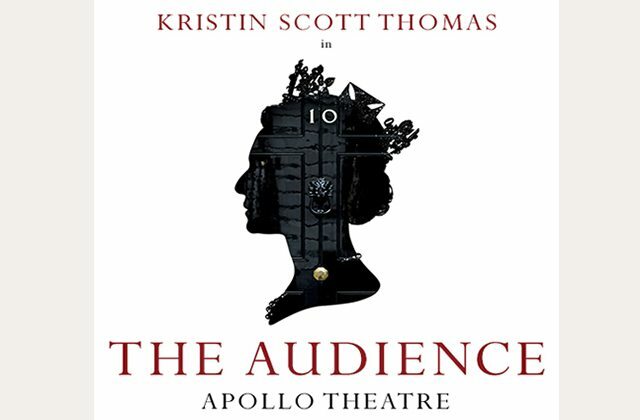 The audience of the title is not, ironically, the theatre audience but an audience with The Queen. As has become tradition, each week the Prime Minister meets with The Queen for a short meeting to discuss current affairs. The play covers her sixty years of reign in a sort of One Day-esque structure, as we witness a snapshot of her meetings with each Prime Minister. The political leaders, their policies and their personal circumstances may change, but – just like the simple yet opulent backdrop – The Queen remains a stoic constant. This is a play that therefore explores the notions of tradition and political power: who is the real leader of the United Kingdom and the Commonwealth? How much influence and control does The Queen have over her country? 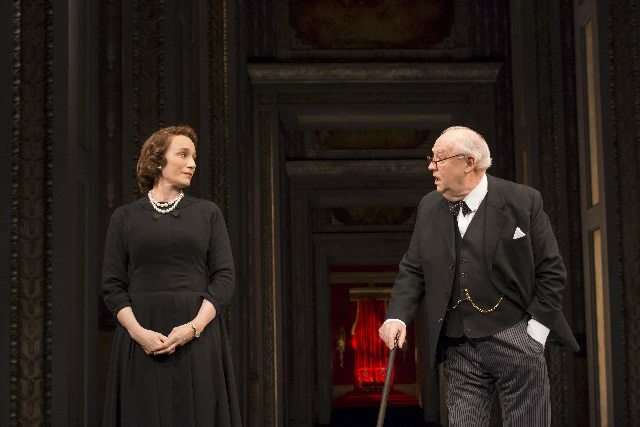 Much of the play’s comedy stems from the portrayal of each PM in a series of endearing caricatures: from the gruff and barking Winston Churchill (David Calder), to The Queen’s greatest adversary (and the only other woman on-stage) Margaret Thatcher (in a whirlwind of a performance from Sylvestra Le Touzel); from her secret favourite Harold Wilson (Nicholas Woodeson) coping with the early stages of Alzheimer’s, to a comically babbling David Cameron (Mark Dexter) who gets the biggest laugh of the evening - Dexter has Cameron’s chuckle spot on. The Queen herself is a more richly drawn character. Mostly, Morgan is concerned with humanising her. In the media she may seem a distant figure, but here she is approachable and friendly, even discreetly caring. She possesses a dry and scathing wit, able to put each Prime Minister in their place with a series of amusing one-liners, whilst in her personal life she is haunted by a younger version of herself (played by three young actresses). 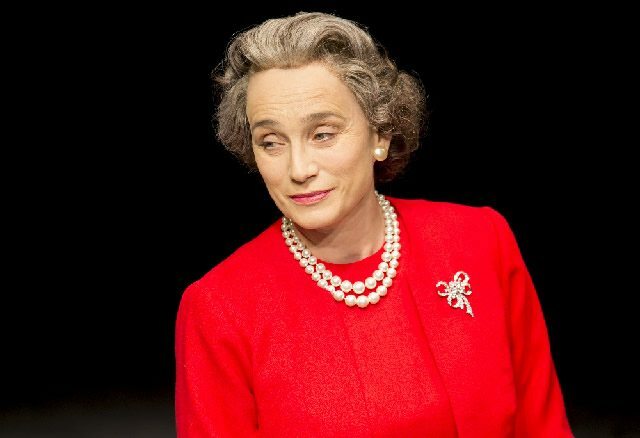 It’s the sort of role that demands a skilled actress and whilst it was originated by Mirren in the play’s initial 2013 run (she is now performing the role on Broadway), Kristin Scott Thomas gives an exceptional performance. She creates a cohesive character across each time period, who slowly shifts and grows alongside the lavish fashion, from a naïve yet headstrong girl yet to receive her coronation, to a shuffling, wise woman who still demands respect. Though regal and stately, she brings warmth to the role of this intelligent, stubborn and hugely likeable figure. In her hands, the Queen is a strong woman, capably balancing the traditions of her position with modern feminism. Despite this, the Queen is somewhat powerless. No matter what her personal opinion may be, she is forever forced to agree with the diverse views of each PM. Her influence can only nudge them in a certain direction – in her own words she must “work invisibly in the most visible position in the world.” There is a tinge of sadness to her work, and yet in this play her influence is subtle, yet clearly palpable in each scene. PMs may come and go, but the Queen has rightfully earned her status working quietly and consistently behind the scenes; perhaps she really is the true leader of the nation. 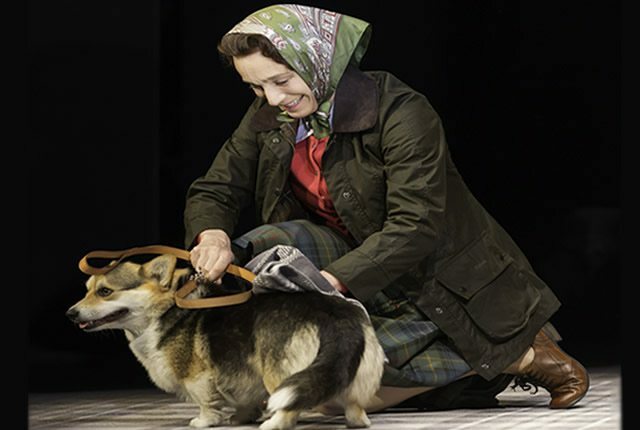 As if all that wasn’t enough, there are ACTUAL REAL CORGIS ON STAGE. Seeing their little fluffy faces bounding across the stage will surely cause an involuntary squeal.